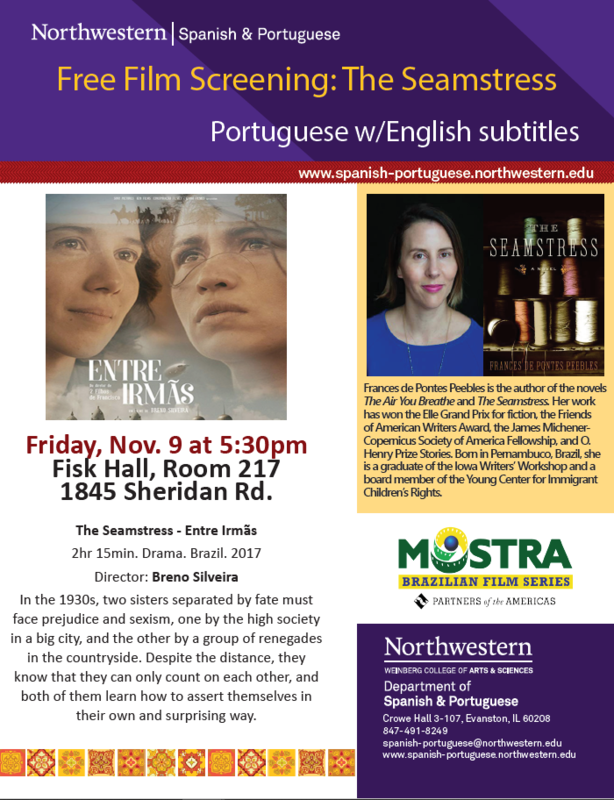 Book Sale and Signing with the author of “The Seamstress“, Frances de Pontes Peebles and film screening. In the 1930’s, two sisters separated by fate must face prejudice and sexism, one by the high society in a big city, and the other by a group of renegades in the countryside. Despite the distance, they know that they can only count on each other, and both of them learn how to assert themselves in their own and surprising way.